Post edited by The_Dude_Abides : Please don't use all caps in thread headers in the future. This is a fairly common problem, I had it on mine many years ago and IIRC it was the small opto board at the back of the playfield that was the problem. I believe it was a flaky opto, once that was replaced it was good to go again. Unfortunately I remember it being a bit of a bear to get at to fix or replace. Agreed, but those optos are hard to find. I have an old TZ clock board I scavenge from. Although that is usually the problem, it can also be related to the flipper boards for some min PF's, such as this and more commonly TS. I would first try swapping the flipper opto boards, if the issue remains unchanged, it's time to dig apart the left rear and examine that board, could just be cracked solder joints on the optos that need reflowing if the problem is intermittent. If the problem changes to the other side of the mini, it's a flaky opto on the flipper board. Ok so I've ordered the board and waiting on it to come. 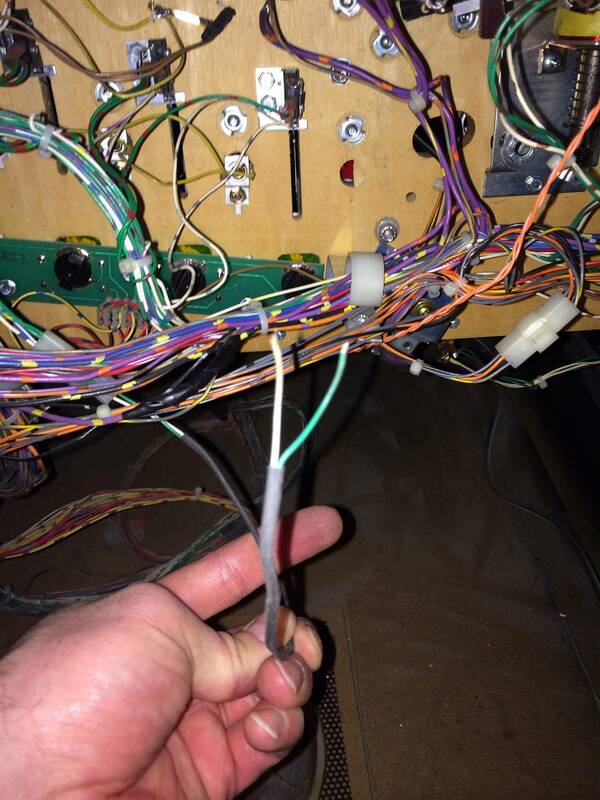 Where do I find the flipper opto board on the machine and should I order it as well just in case the mini playfield opto doesn't work. The flipper opto board is the one that you activate by pressing the flipper button - it is screwed to the cabinet on the inside of the flipper button. You could try cleaning the opto slots in the optos on this board with a cotton bud, this might fix your problem and is easy to do. As I noted, you should have tried swapping the flipper opto boards first. It's likely not the issue, but it could be, and is an easy first test. It sounds as though you are not experienced in fixing these (just by what you posted above). If so, I would recommend posting back on taking the mini PF off when you get that board, as this can be a little tricky, unless someone has a thread detailing this. It's not overly hard mind you, you can do it, but it is more complicated than most things, and that mini really has to be levelled out after for the left and right action to remain accurate. 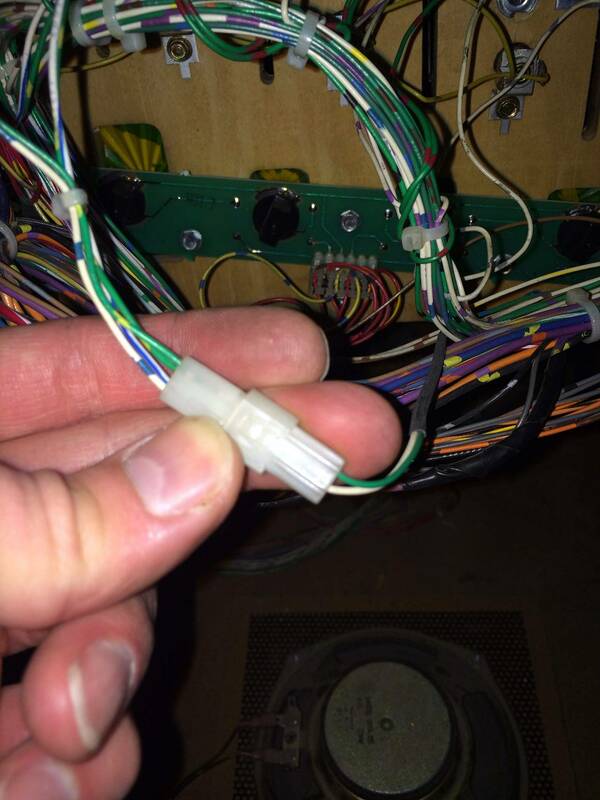 So I put a card between the opto sensors for the mini playfield in the rear of the cabinet and nothing registered in the test screen for either opto switch. Does that mean the board is useless All the other optos and switches registered during the test. I was having some light issues on the path of adventure where the bottom 4 lights were not in sequence with the upper four lights on the play field could these wires fix it ?? On mine, it looks like they go up the back of the backboard, then through the hole under the bridge, and are soldered onto the switch above the left gate ( near the I at the top of the playfield). Those small board optos don't register in switch test mode. Are you good with reflowing solder joints? Reflow the optos and try the board again. If it's intermittent, that means the opto works, but there is likely a cracked solder connection. If it doesn't work at all anymore, either the opto is bad, or the solder crack is allowing now connectivity. Again, reflow, see if that works, and if it's still intermittent after this, again, try swapping the flipper opto boards just to be sure. Can you please take a picture for me. They are the only ones that are covered with a rubber sleeve. It would be so much easier to diagnose the issue if you did. PM me your number, I'm in London, I can give you a call tonight or tomorrow and try to help you work through your issues if you want. Sounds like you have a couple things mixed up.